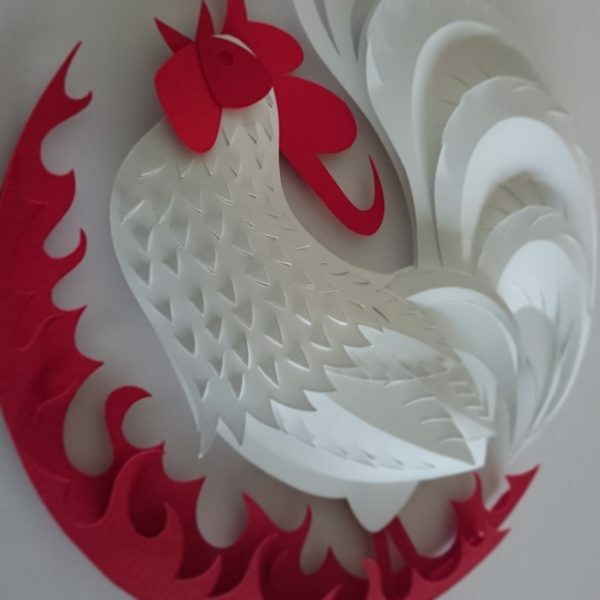 Here at One Tree Studio we are getting into the spirit of Chinese New Year, and in that spirit we have created a paper sculpture of this year’s animal. 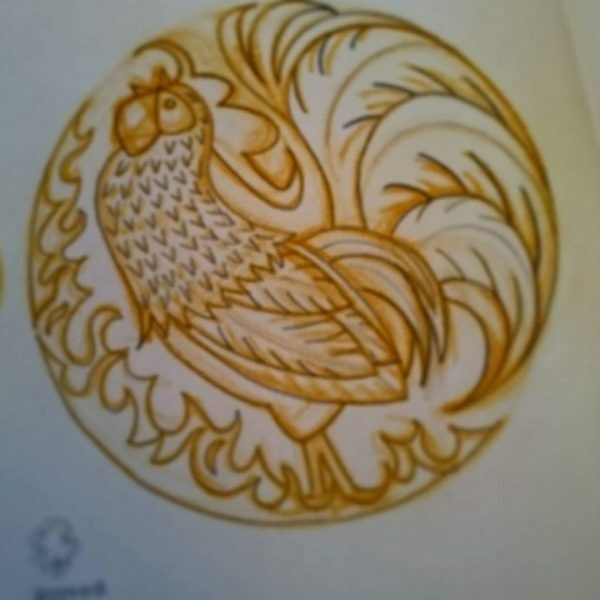 So it is a big Gong Hay Fat Choy to everyone and bring on the year of the Fire Rooster! One Tree Studio are Martin & Joanne Beckett. We love illustration and we love making images...literally making images. We have three distinct portfolios under the tree: PAPE… Show more. Send a message directly to OneTreeStudio . One Tree Studio are Martin & Joanne Beckett. We love illustration and we love making images...literally making images. We have three distinct portfolios under the tree: PAPER, PIXEL and PLASTICINE . 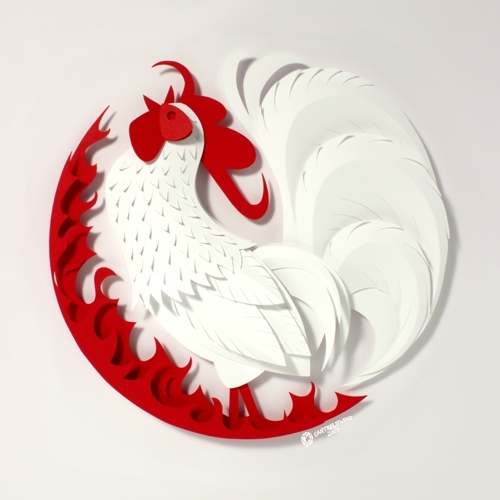 PAPER: we hand cut and crafted unique sculptures, then digitally photographed and edit then to your specification. PIXEL: a more traditional style digitally created; hand drawn but not shying away from the tools used. PLASTICINE: we hand sculpt plasticine into all sorts of things, they are then digitally photographed, edited and coloured. Our work has taken us into the world of children's books, games, advertising and editorial; it is a fantastic journey and one which we would like to share with you. Although based in Ireland we work Worldwide.